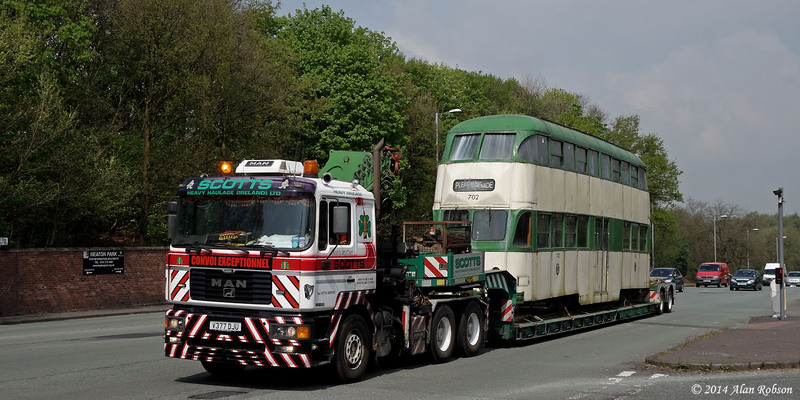 Only a day after Scotts Heavy Haulage moved Pantograph Car 167 from Blackpool to the National Tramway Museum at Crich, an auction of many of their vehicles took place on Saturday 30th August due to company director Bryan Scott's decision to retire. 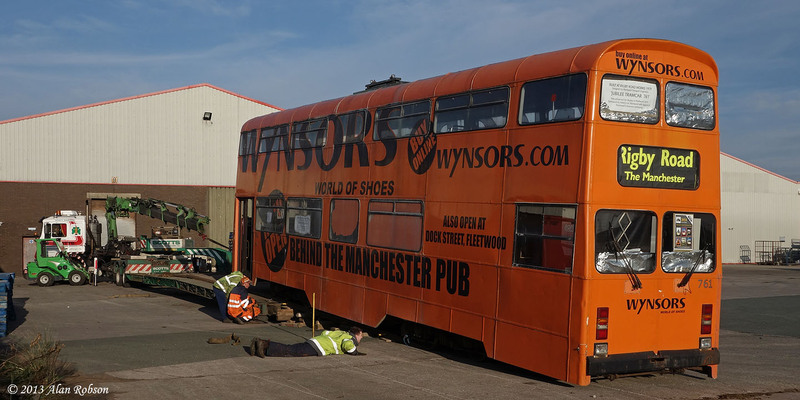 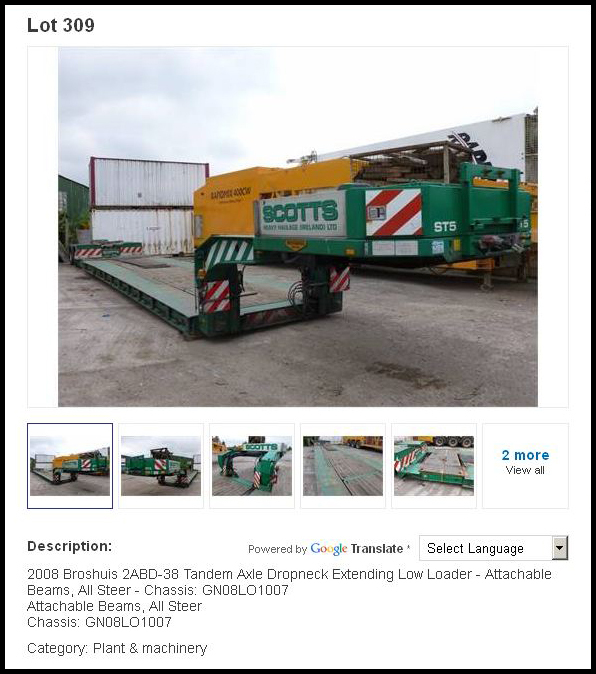 Included in the auction was the Broshuis extending low loader trailer 'ST5' that has been exclusively used during the transport of trams for several years. 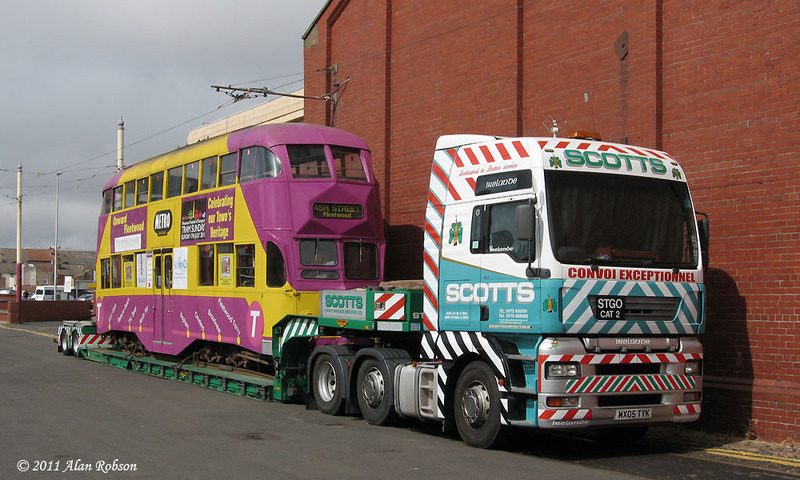 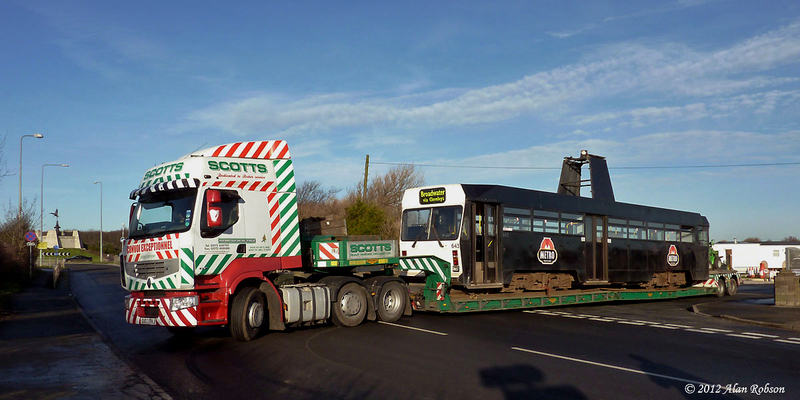 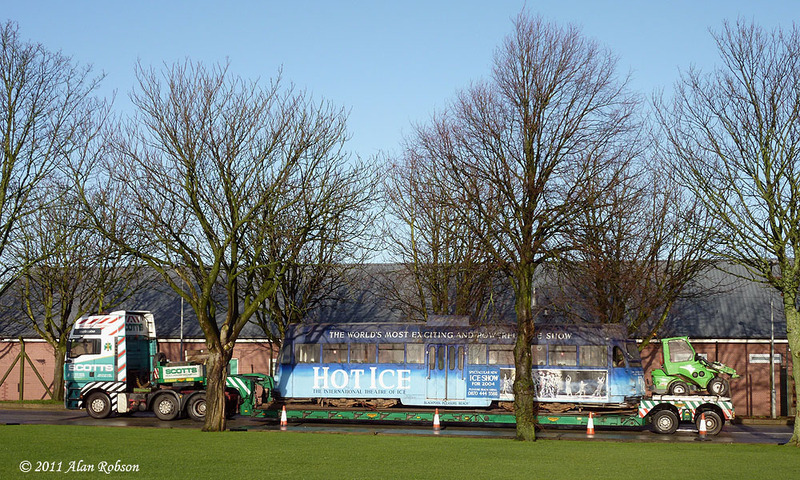 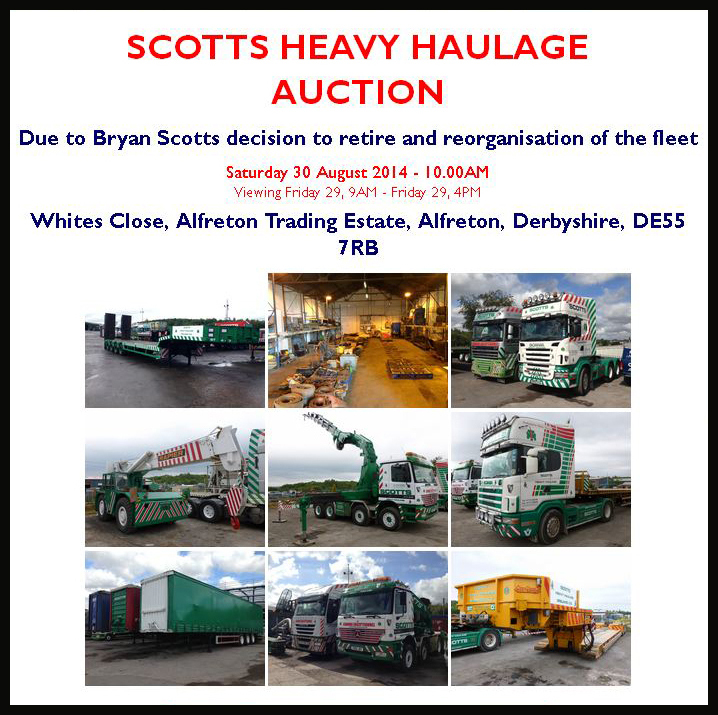 Scotts Heavy Haulage are based at Alfreton in Derbyshire, which put them in an ideal position to act as hauliers for the preserved tramcars that required moving to and from the National Tramway Museum at Crich. 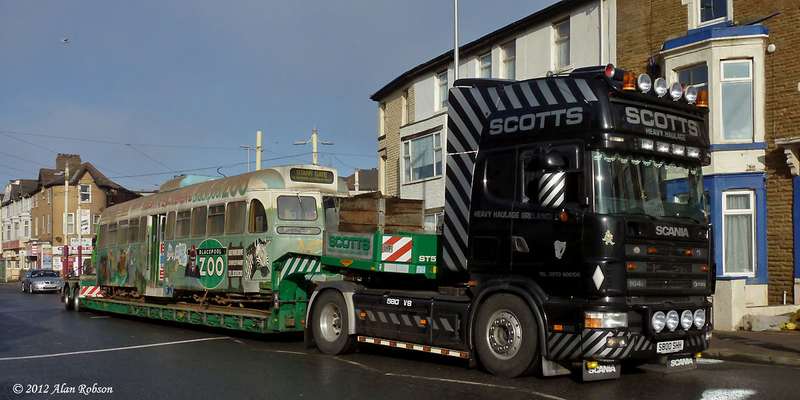 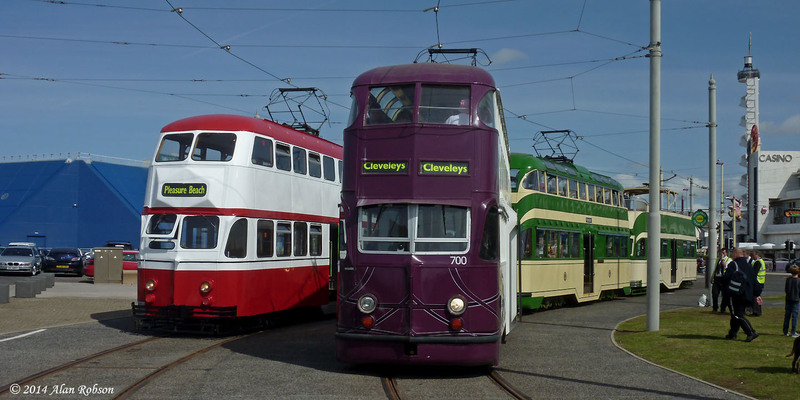 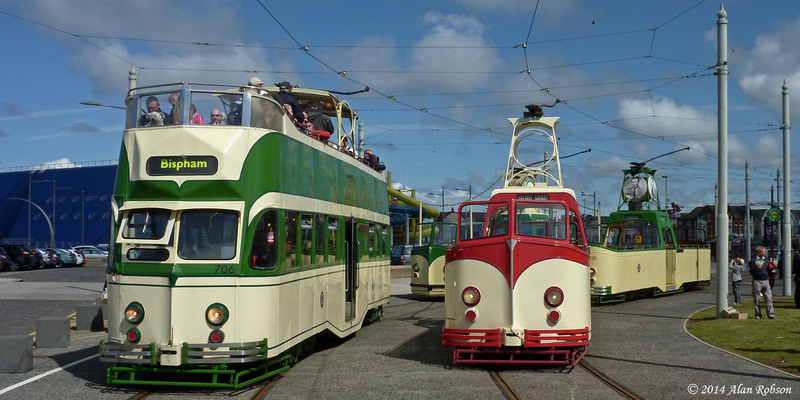 Scotts have had a very long association with Crich, and have also won contracts to move many other preserved trams around the country over the years. 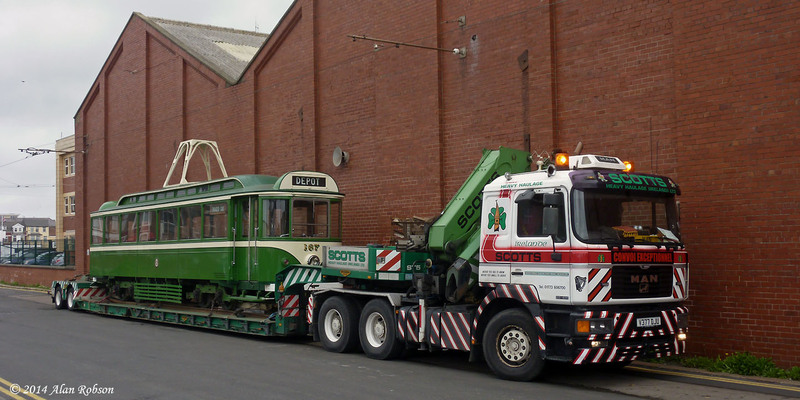 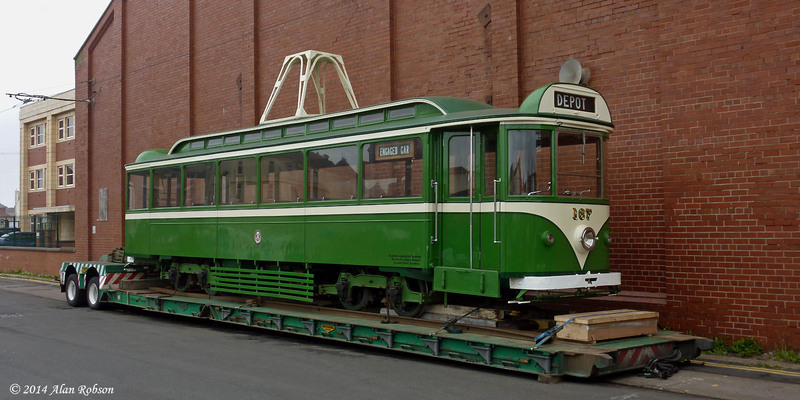 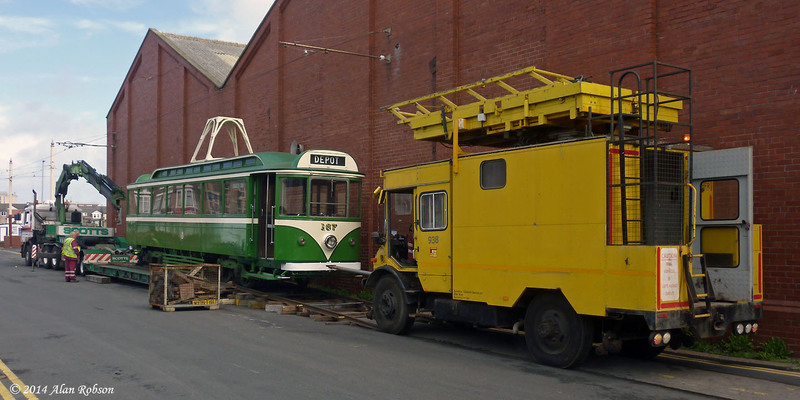 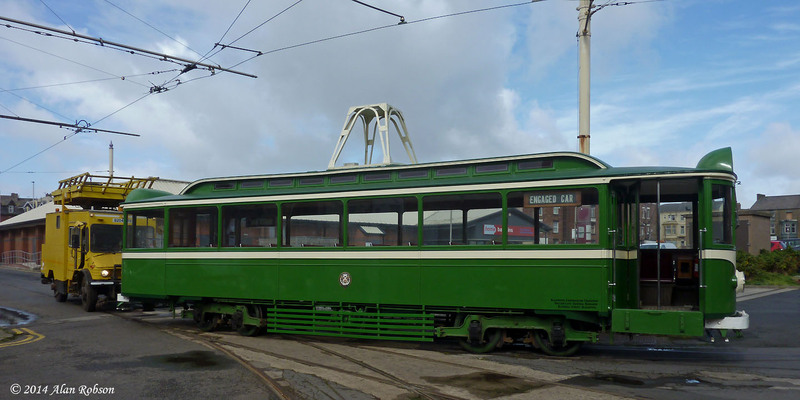 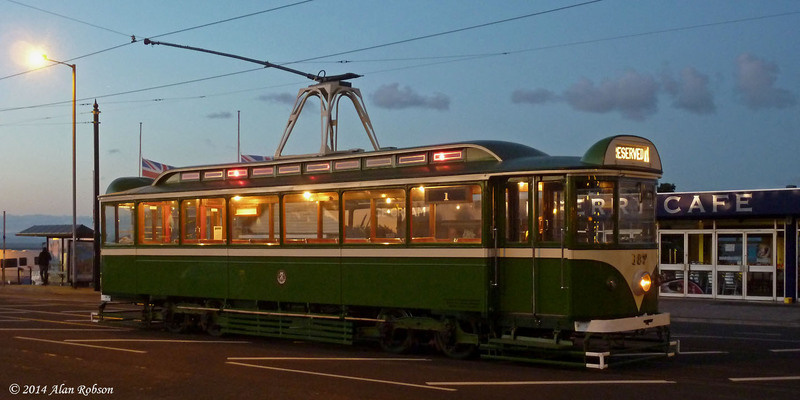 If this key asset that was used for moving trams is sold during the auction, it remains to be seen whether Scotts will remain in the business of transporting trams. 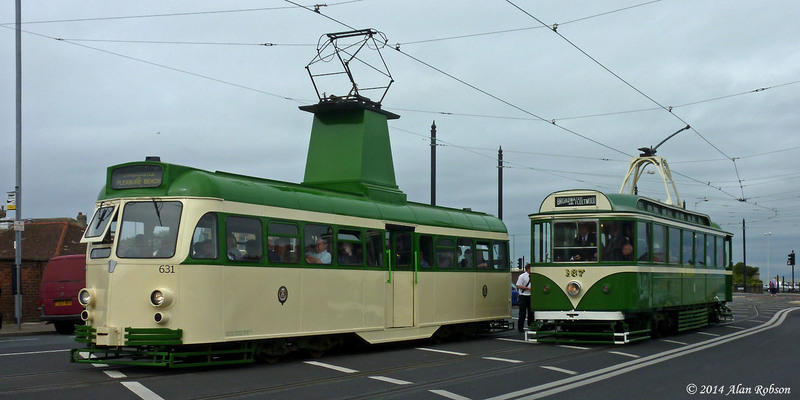 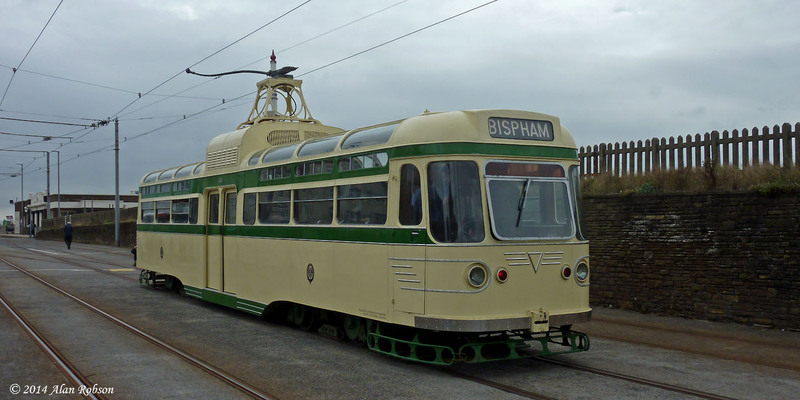 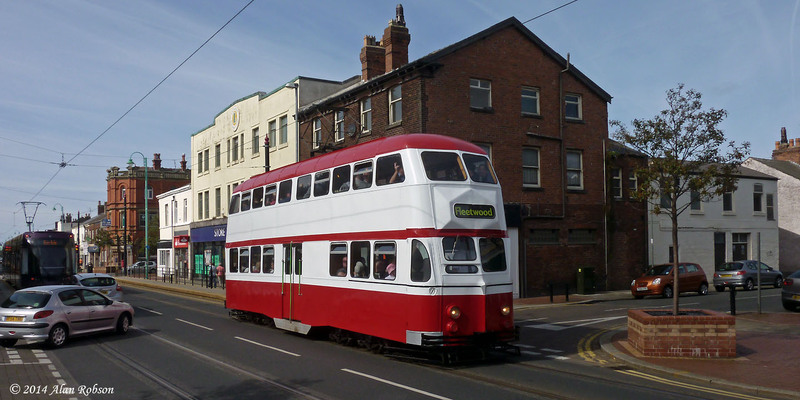 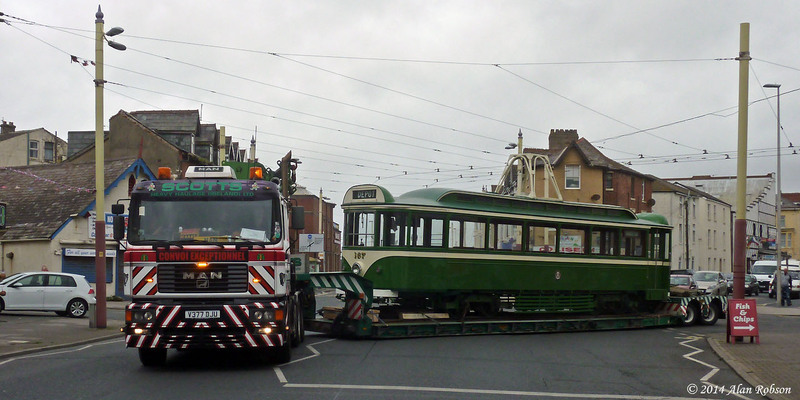 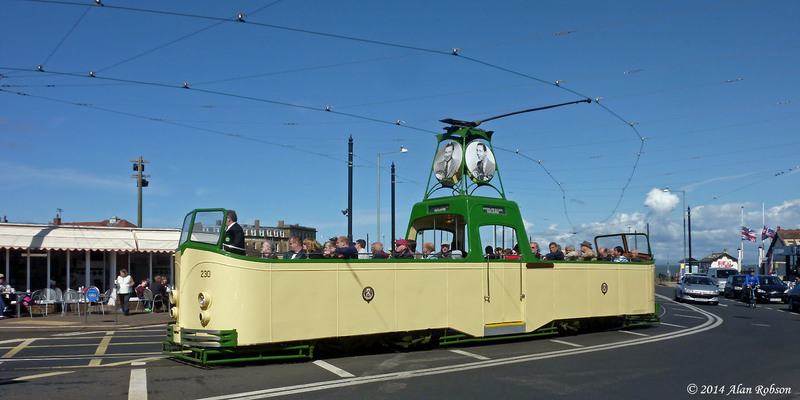 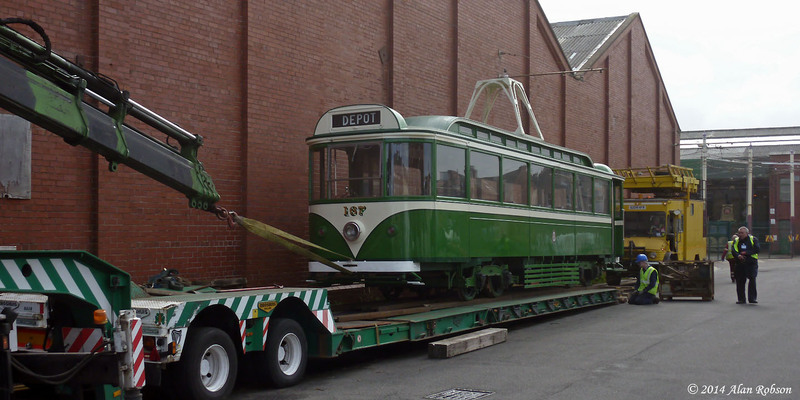 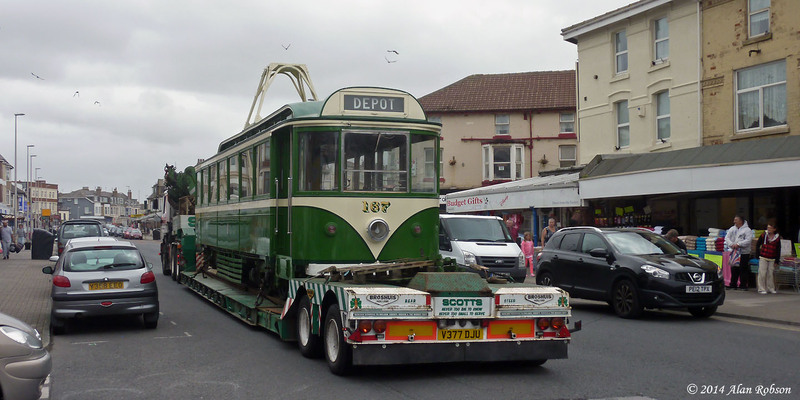 Pantograph Car 167 finally left Blackpool to return home to the National Tramway Museum at Crich on 29th August. 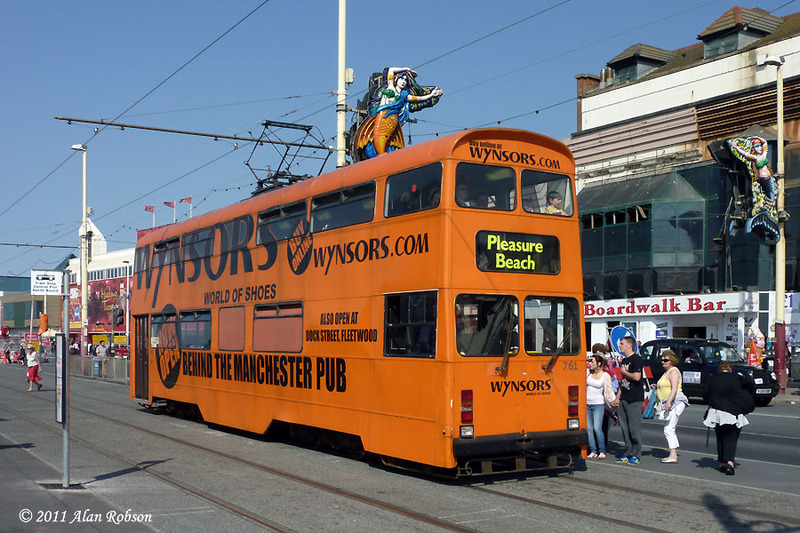 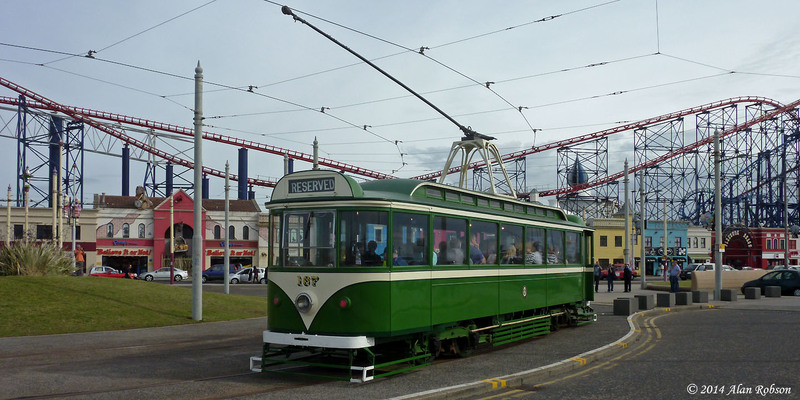 167 had spent the summer season on loan to Blackpool, arriving at the resort on the evening of 28th April. 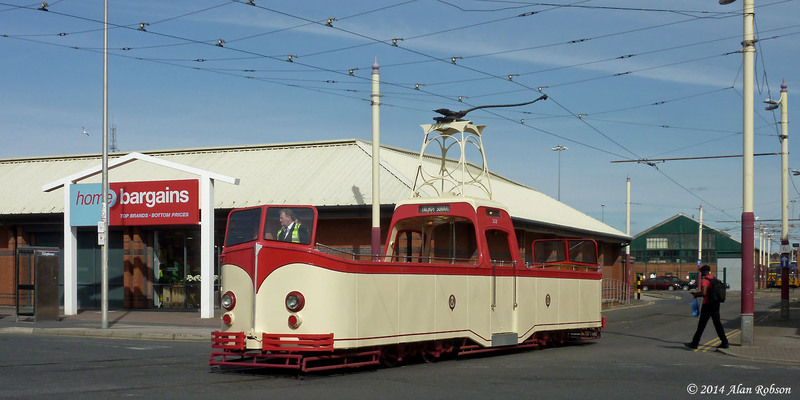 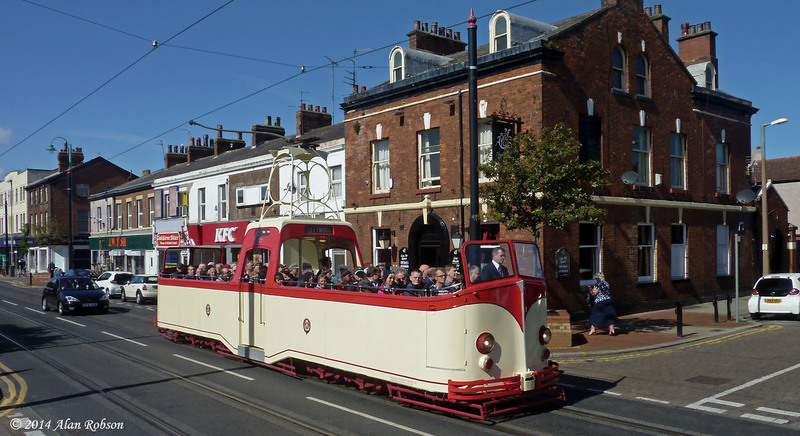 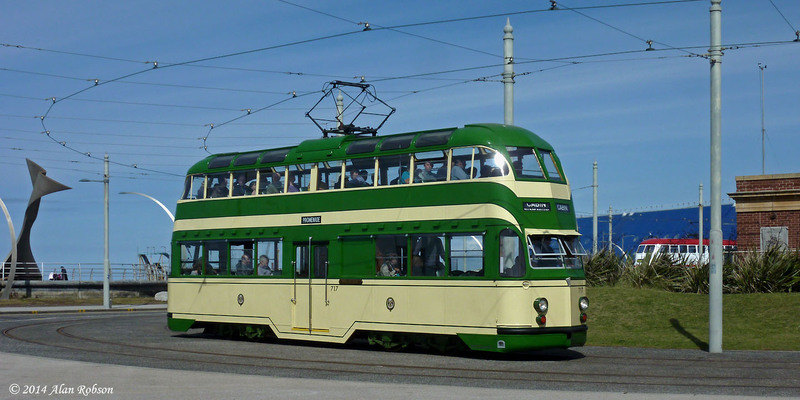 The tram debuted on Heritage Tour service on Saturday 24th May during the Spring Bank Holiday weekend, and last ran in heritage service on August 25th. 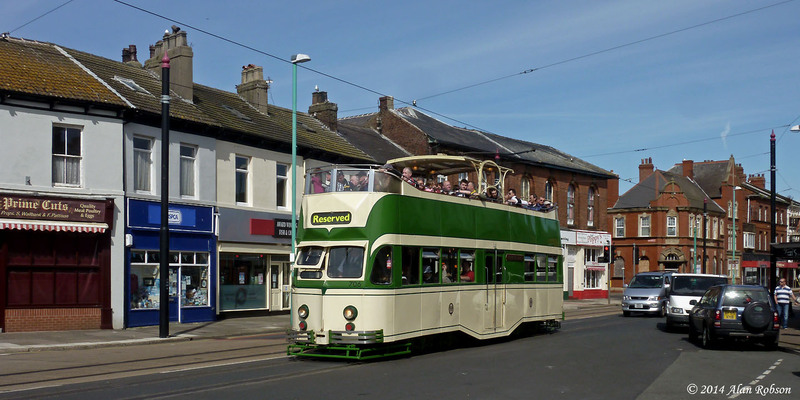 167 has had a very successful extended stay in Blackpool, performing both private hires and also seeing plenty of use on Heritage Tours. 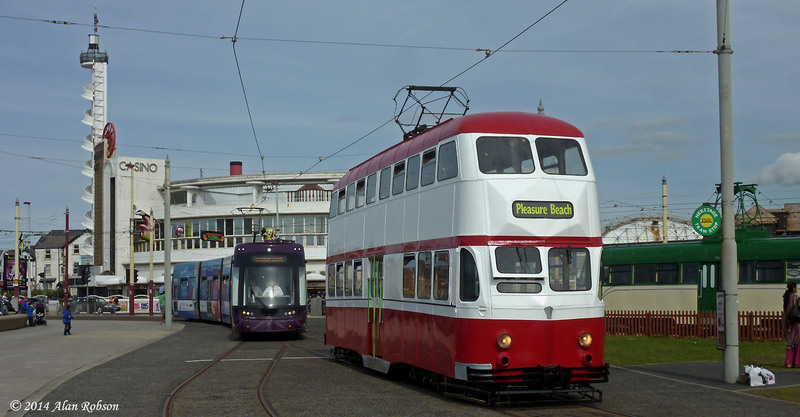 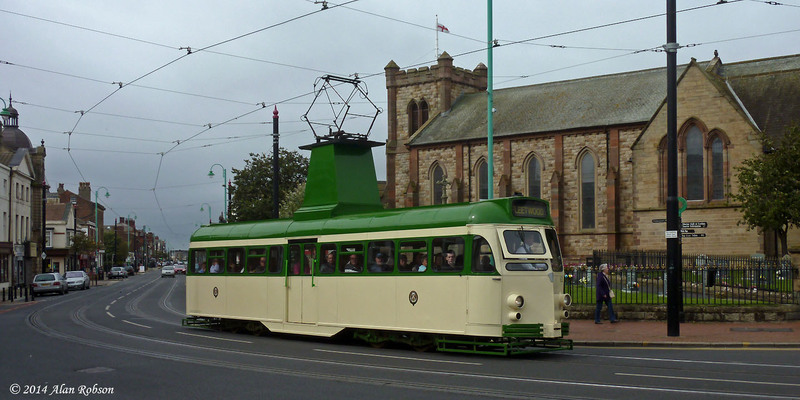 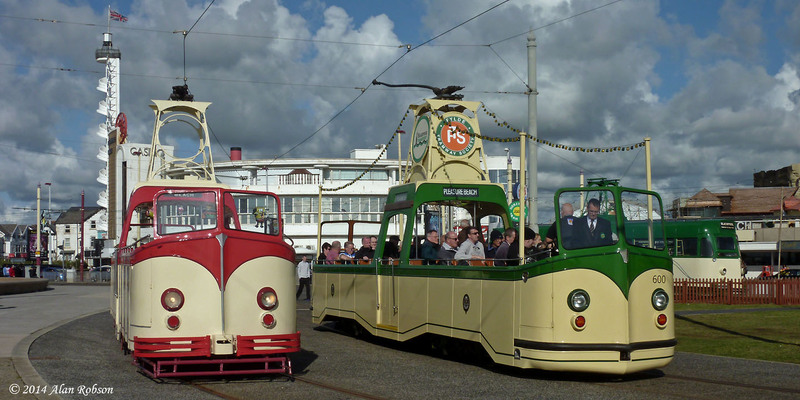 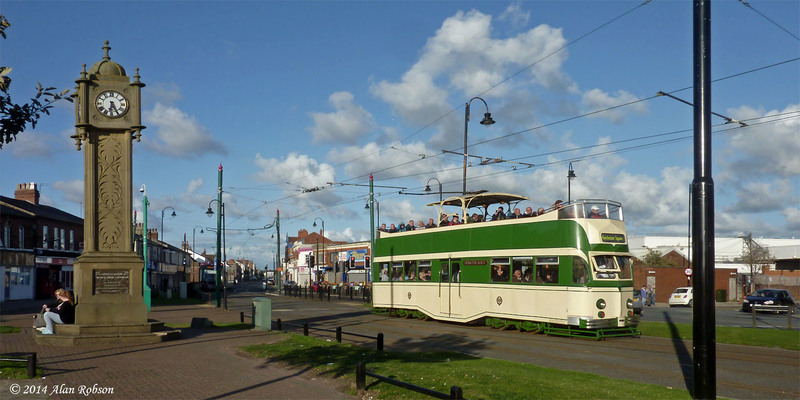 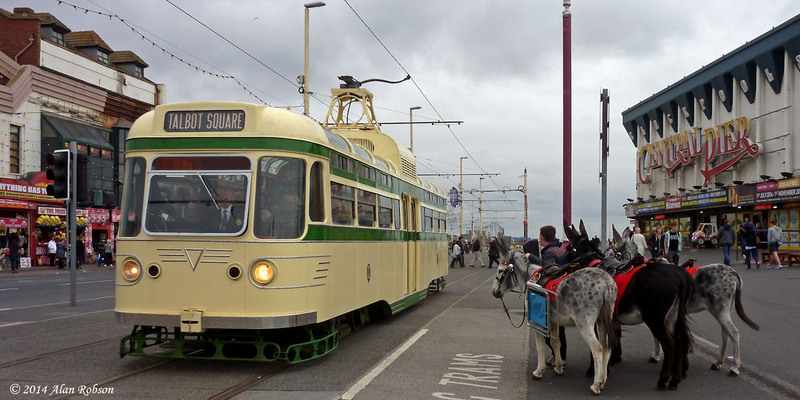 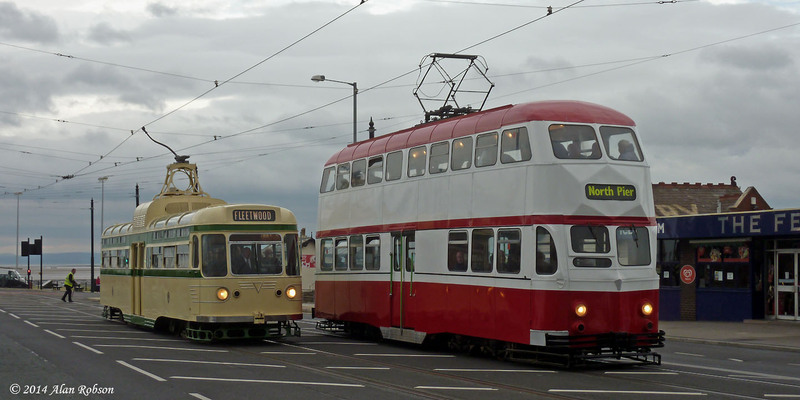 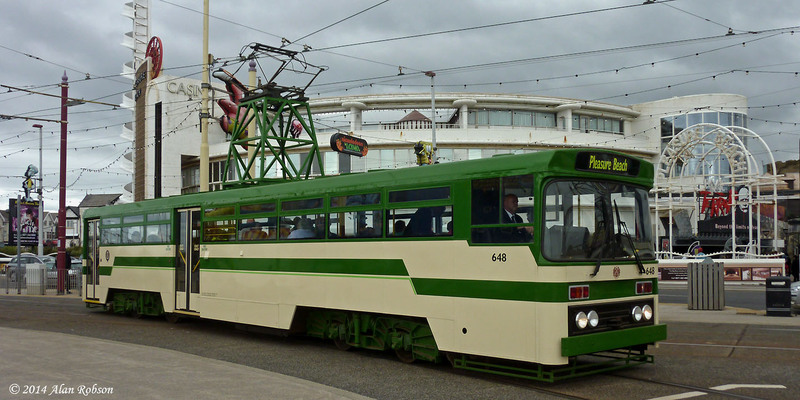 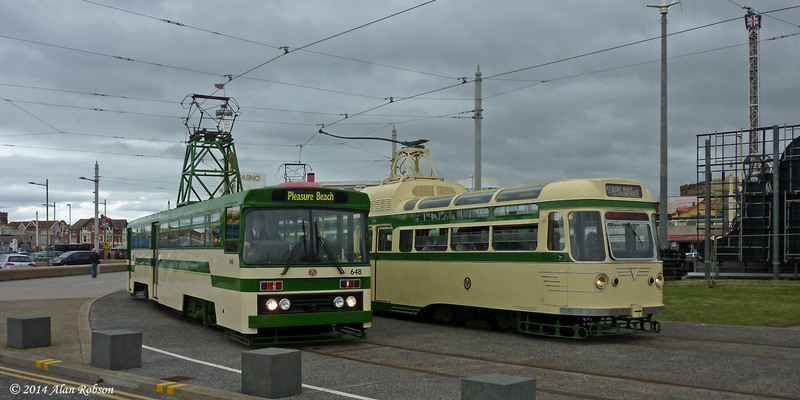 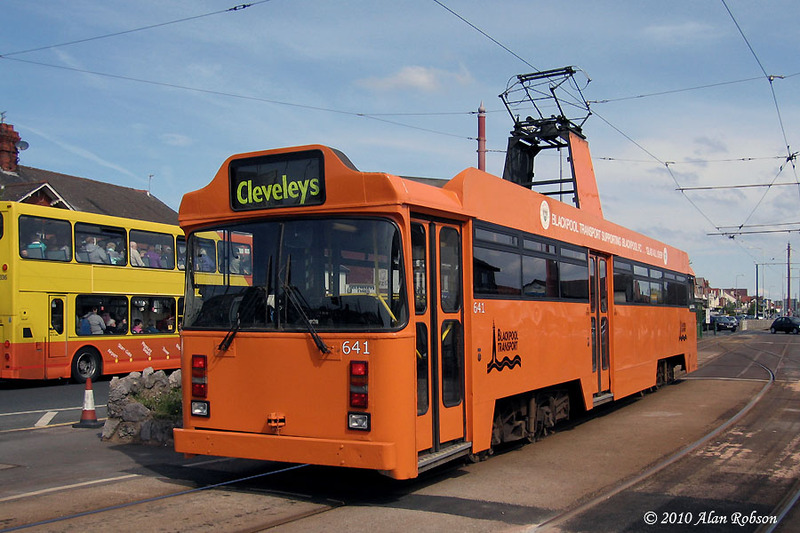 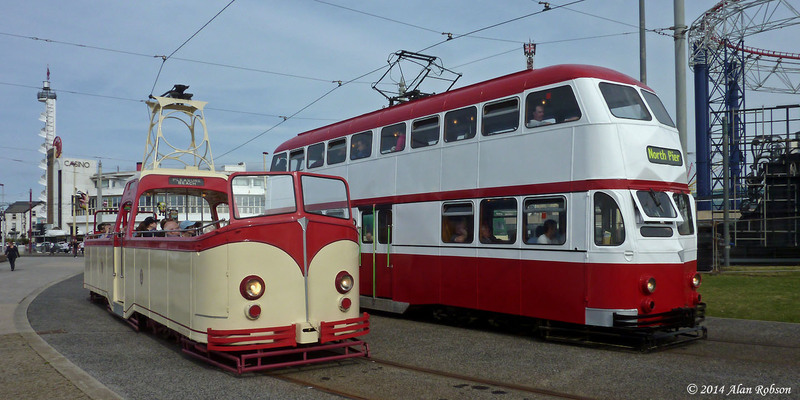 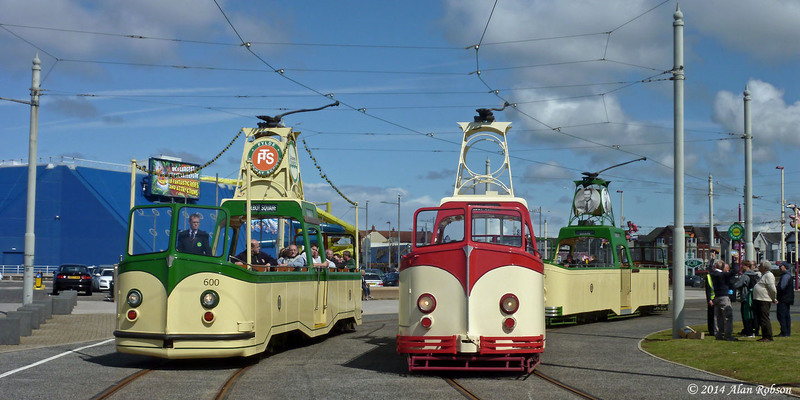 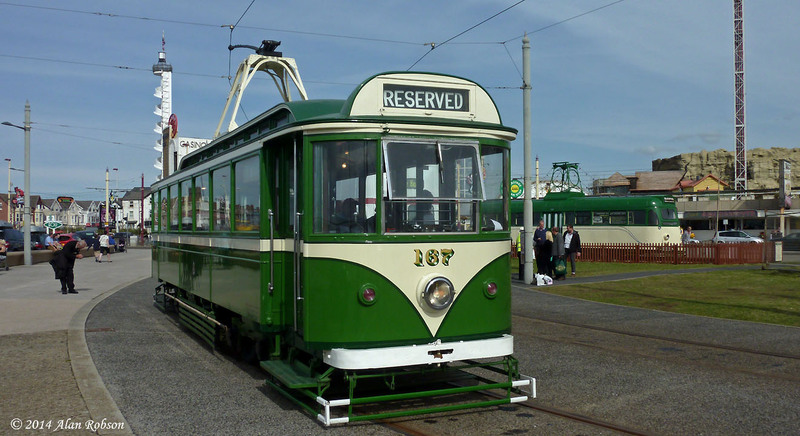 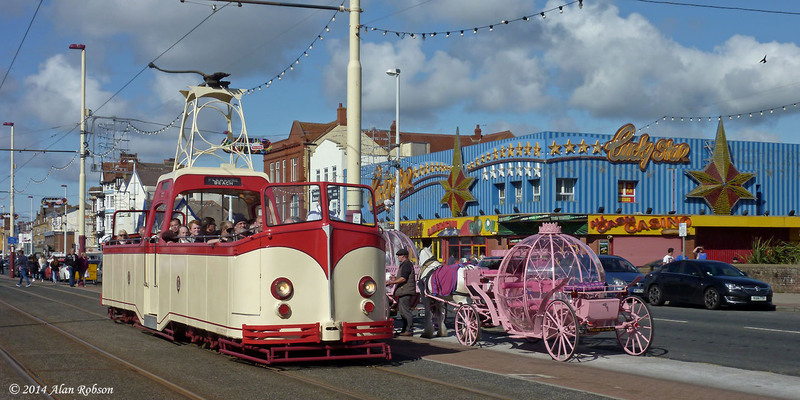 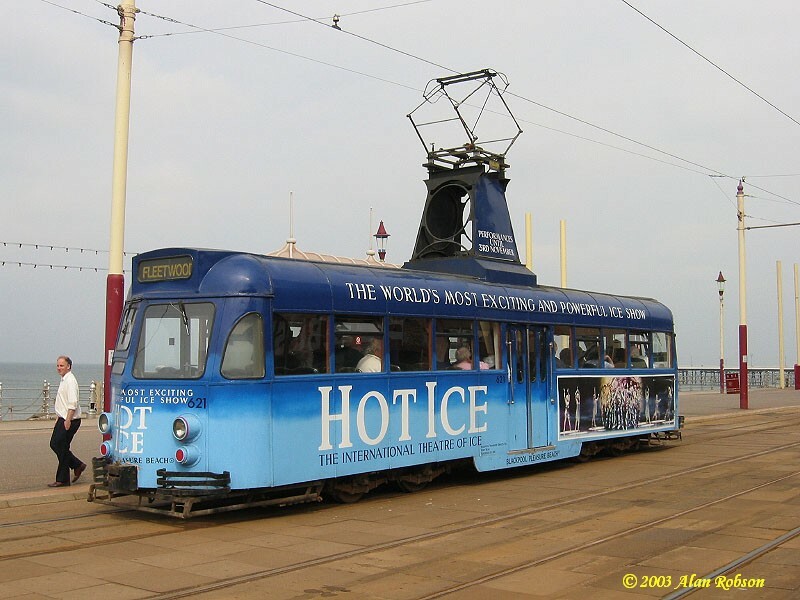 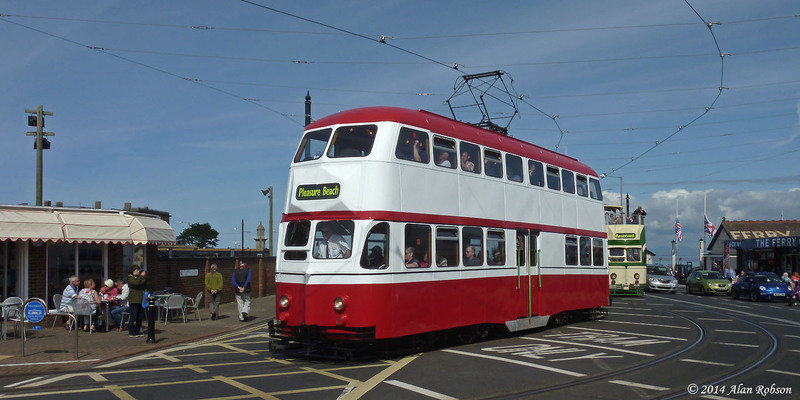 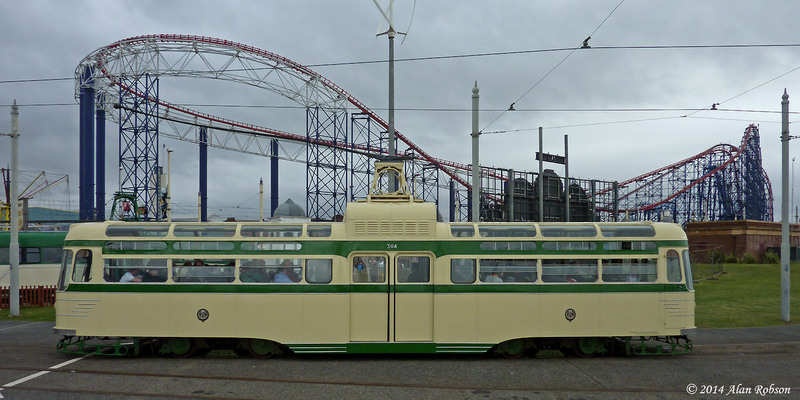 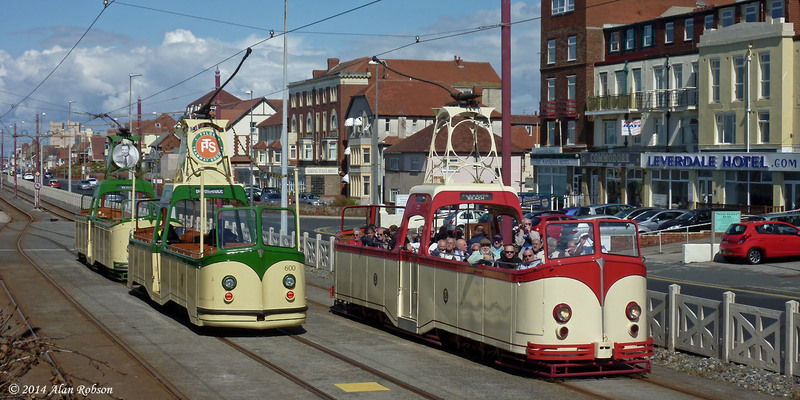 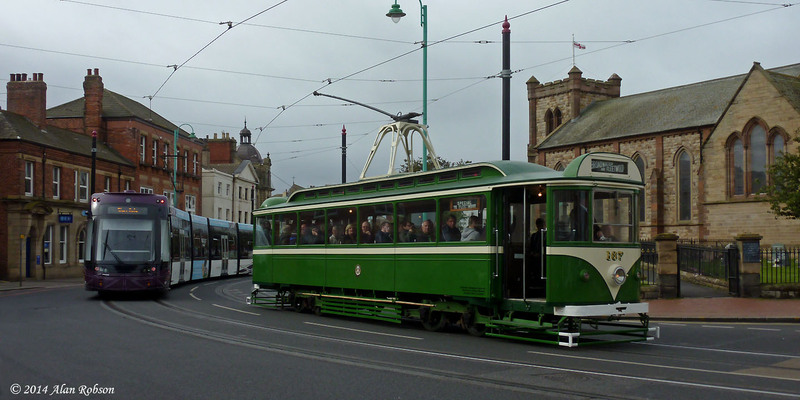 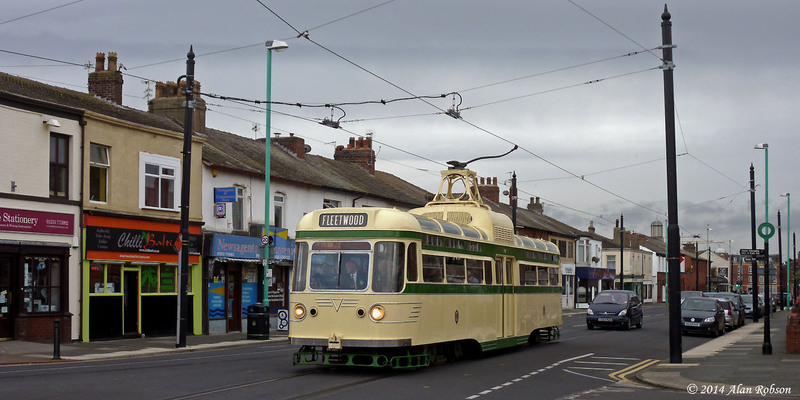 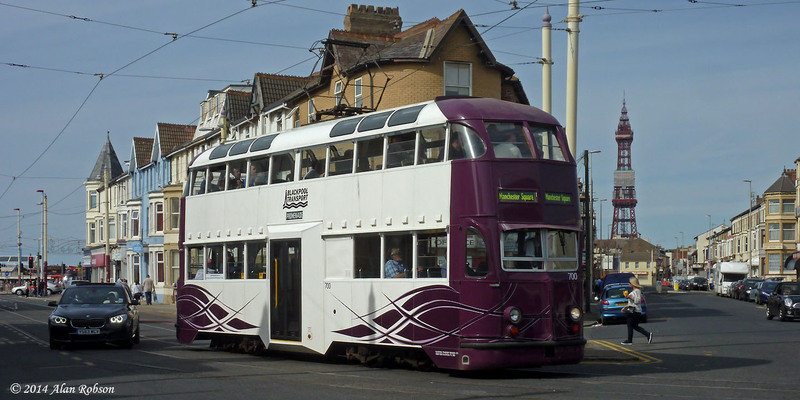 In contrast to its last visit in September 2010, when the tram failed and had to be withdrawn from proceedings, this time 167 has performed sterling service throughout its whole stay, and has proved a most valuable attraction each time it has appeared in service on the Promenade.